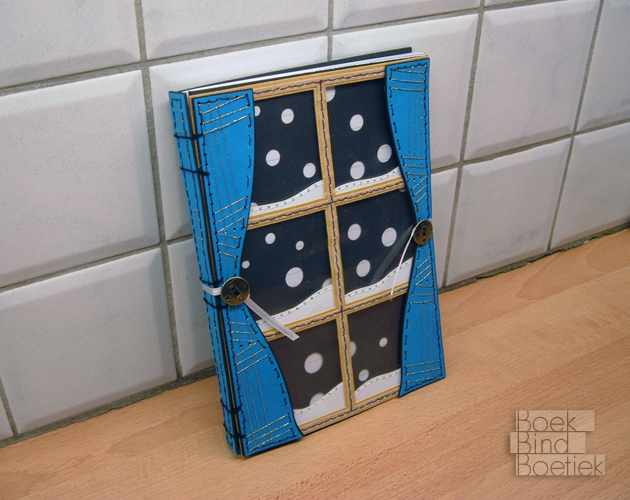 Written by Marenne on January 23rd, 2011 | Posted under /Secret Belgian Binding. 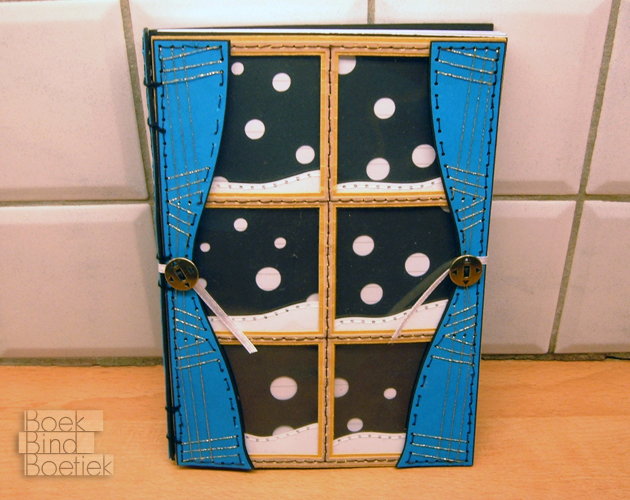 This book was made to remember the winter and to compete in a contest about winterfeeling. 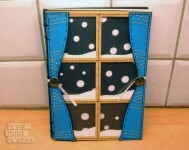 It represents a window with curtains looking out on snow at night. 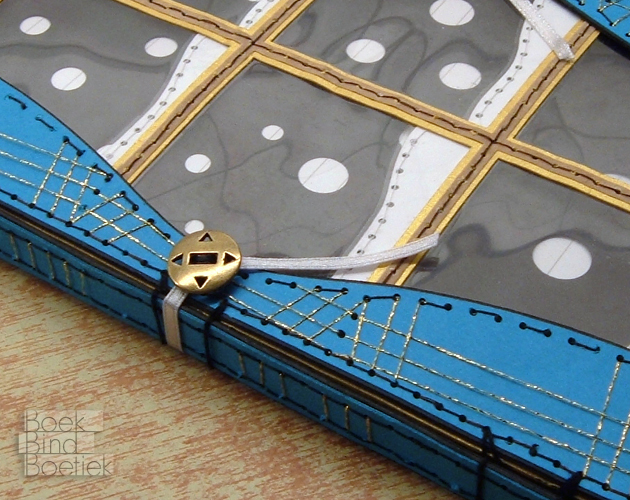 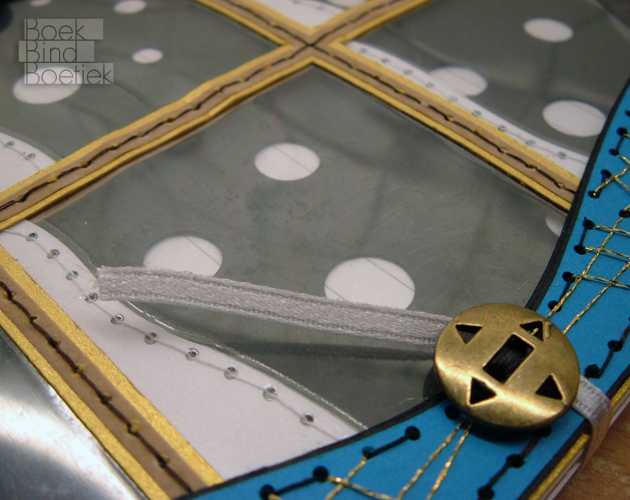 It is made out of layers of paper sewn together. 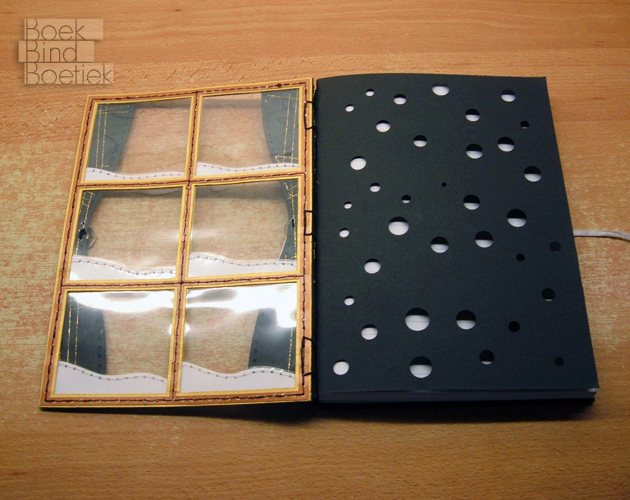 I used no glue at all. 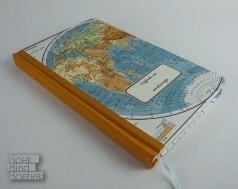 It is bound using the Secret Belgium Binding. The snow flakes are actually just the lined paper of the book itself. 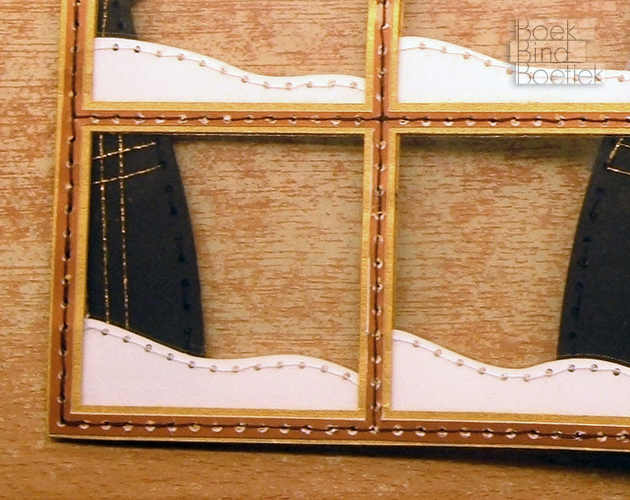 The pattern on the ‘curtains’ is hand-embroidered. 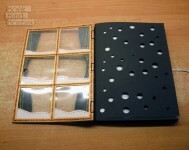 The covers are made out of several layers of cardboard and plastic, sewn together. 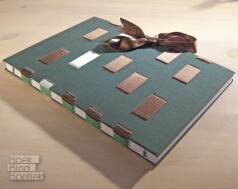 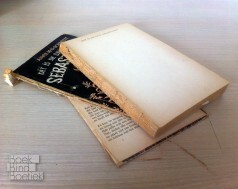 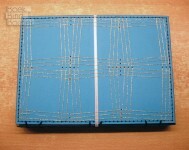 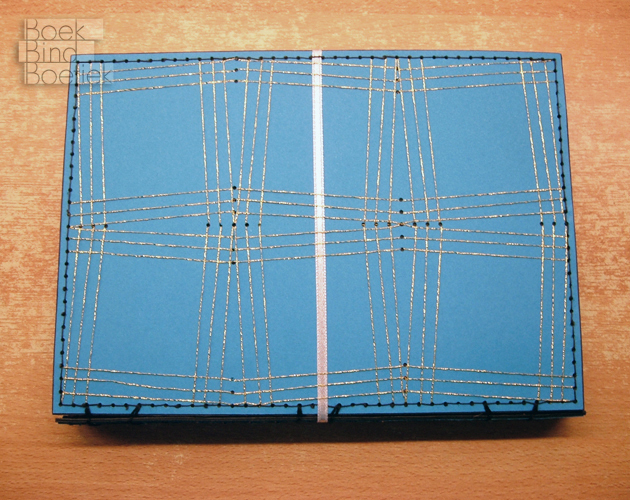 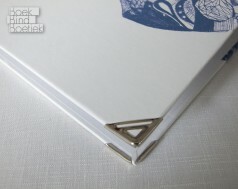 The book was bound using the Secret Belgium binding. It opens and closes by (un)winding the ribbon around the right button.